Drunk Feeling All The Time - Is It Candida? - YeastInfection.Org by Eric Bakker N.D.
You are here: Home / Other Issues / Drunk Feeling All The Time – Is It Candida? Monica is a middle aged woman who is concerned with her health as she always feels drunk. She is constantly dizzy, nauseated, experiences a loss of balance at times, and has trouble focusing in vision and concentrating on a project. She’s often tired and doesn’t feel fully awake. She has tried supplements and visited doctors who believe that it is either her age or a psychological concern. She reached out to us asking if candida could be the cause of her drunk sensation or another health concern. She’d also like to know what she can do to improve her situation. Severe anxiety can weaken the body and create many side effects. Even if other diseases are the cause, anxiety can worsen symptoms, and stress management is important for maintaining health no matter what the underlying concern. Hyperthyroidism can cause similar symptoms to being drunk, such as anxiety, weakness, and fatigue. When the immune system attacks the thyroid, the thyroid overproduced the hormone. More information is available on thyroid health and the immune system. Hemochromatosis is a genetic disease that occurs when the body absorbs too much iron. Symptoms can include memory fog, sexual dysfunction, fatigue, and abnormal heart beat. Men can develop hemochromatosis in their 20s and 30s, while women become prone to it typically ten to fifteen years after menopause or a hysterectomy. Transmitted through saliva and known as the kissing disease, mononucleosis is a virus that typically lasts 4-6 weeks. While unlikely for Monica’s concerns, mononucleosis can cause similar drunken feelings of fatigue, headaches, swelling in the body, and fevers which may cause difficulty in focus. The cold-like symptoms typically last a couple of weeks, but other symptoms such as inflammation and fatigue can last for several weeks after. Muscle tension in the neck and other body tightness from anxiety can create a sense of drunkenness. The sternocleidomastoid (SCM) trigger points at the sides of the neck can also cause migraines, dizziness, and other head-related concerns. Tension on the neck, shoulder, and back muscles can also affect blood vessels going to the head. The pressure weakens blood and nerve flow. Seeing a massage therapist may help relieve and potentially resolve dizziness and other head-concerns if muscle tension is the underlying cause. Those who have had viral meningitis note that feeling drunk is not uncommon months, even years, after they have gotten through meningitis. Chronic candidiasis can affect the musculoskeletal system. If candida, bacteria, parasites, or other harmful particles become excessive in the digestive tract, they can tear holes in the gut and create leaky gut syndrome. The harmful particles escape through these holes and can settle in the blood stream, muscle tissue, and other areas of the body. Leaky gut may be the underlying cause of allergies and auto-immune diseases, including lupus where healthy tissue is attacked. 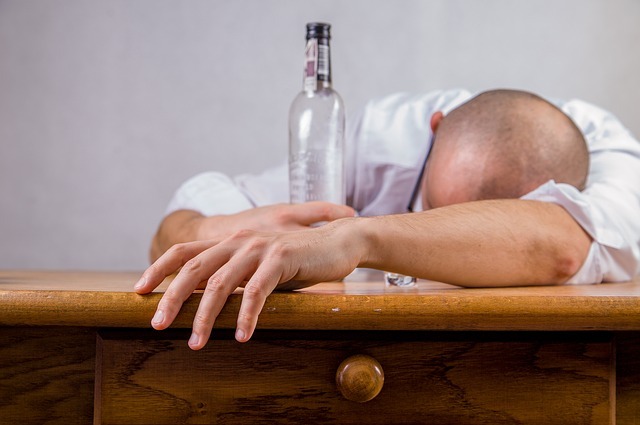 Those with lupus can also experience a feeling of intoxication. An overgrowth of yeast cells creates toxins in the body, and the effects are not unlike toxins from alcohol. If leaky gut or another cause of candida overgrowth that breaches the gut exists, healing the body tends to require more discipline and patience. A stricter candida diet may be needed for years before fully repairing the gut and body, however feedback from individuals with high toxicity in their body say that the rewards for going through the regimen are worth the effort. Even individuals with less severe candida infections may find that their concentration, balance, and other head-related symptoms are strong. An overgrowth in the gut causes inflammation, which can create soreness in the body. This may relate back to tension in the neck, shoulders, and back which can hinder the nerves. When the body is unhealthy, the immune system is weakened because it is constantly fighting harmful particles. This can create head-related side effects as well. Supporting the immune system is one of the first steps in healing the gut and body, and probiotics are critical. With any formula, too many billions of good bacteria (probiotics) can cause dizziness, nausea, and other negative symptoms when introduced to the body too fast, while too many strains of bacteria may fight and destroy each other before they have the ability to repopulate the gut with beneficial flora. 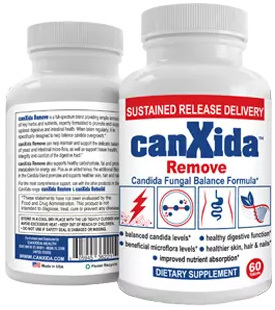 Candida Restore is one product that balances the strains of bacteria as well as the amount so that the immune system receives proper support and the gut is not overwhelmed. Certain vitamins and minerals may support focus and balance. Vitamin B6 may help against dizziness, vertigo, and other balance-related concerns. Calcium improves blood vessel function, which can reduce disorientation and improve cognitive function and balance. Many herbs are available to support balance, focus and memory, and other related symptoms of feeling drunk. Ginkgo biloba may support cognition, balance, and improve circulation in the brain. Ginseng can support relaxation, digestion, and energy. Bacopa and gotu kola are two Indian herbs known to promote healthy memory. Gotu kola may also maintain a healthy thyroid. Staying hydrated is important to ensure that symptoms don’t worsen. Coconut oil is an excellent food that can replace butter while supporting cognitive function and fighting candida. Other foods rich in omega oils can support long-term concentration and brain health. Fish oil and avocados are among these healthy fatty acids. Reseveratrol was recently studied in the elderly and found that their balance improved with regular intake. Reseveratrol is often promoted in red wine, but alcohol can worsen candida, dizziness, and other symptoms of an underlying health concern. Red grapes, cranberries, blueberries, and bilberries are natural sources of resveratrol that don’t require alcohol consumption. Green tea may also support healthy cognition and fight candida. Lighter in caffeine than coffee and black tea, green tea has many healing benefits. Sufficient rest is important for improved health concerns related to balance, stress, and mental wellbeing. Regular exercise without overexertion helps the immune system by activating the lymph nodes. Read more about lymph node functions and supporting the immune system to reduce symptoms associated with feeling drunk. Hello Eric…how about basically passing out from eating carbs, then waking up with hangover like symptoms. The mythical(?) Auto brewery and or gut fermination syndrome…where the gut is basically thought to make alcohol from carbs and sugars and such. Surprisingly though no problem found with Candida on a Genova Stool Analysis. Your thoughts Mr Crusher?